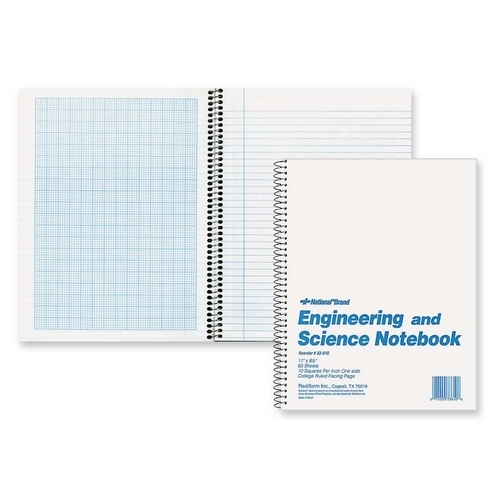 Engineering and Science Notebook contains 60 letter-size sheets of white paper. 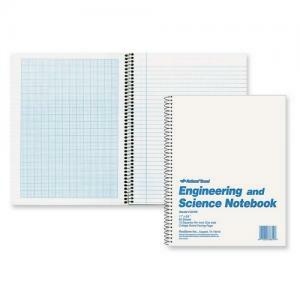 Each sheet is college-ruled with a margin on one side and 10 x 10 quad ruled on the other side. Wire bound notebook has a rigid cover to protect your work.